Opening day of the new Main Street Farmers Market is April 20 from 7:30 am to 12:30 pm. 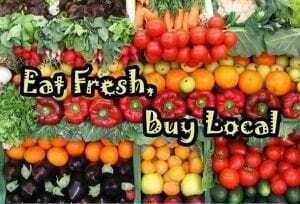 Enjoy fresh produce in season, baked goods, farm products such as: eggs, grass-fed beef, honey and nursery fresh bedding plants and hanging baskets. There will also be a handful of homemade crafts and products such as goat’s milk soap. Watch for announcements about workshops on planting, raising rabbit, goats and chickens, as well as, topics on beekeeping and backyard vegetable gardening. The Main Street Farmers Market will be in full swing from April 20 until October 26.